2016 Eyes on the Ring. Powered by Blogger. Will Payback Be Better Than Wrestlemania 32? You know in life, the thing you love the most, can hurt you the most. This quote represents CM Punk’s tenure in the company. A man that loved the business too much and he suffered a lot of pain before he left with his sanity intact. This is a retrospective of a man that was my favorite wrestler during his era. Growing up, I had a void in my wrestling fandom. The Rock left in 2003 and I didn’t enjoy the roster as much as I did Rock. That void wasn’t filled until I had watched the ECW reboot and saw a man from Chicago face Justin Credible. I didn’t know anything outside of the WWE at this time and had no idea who Punk was, but for some reason back then it clicked for me. I was a fan from that debut and it gave me a reason to watch the ECW reboot. The company had a star on their hands, but it took a long time for them to realize it. 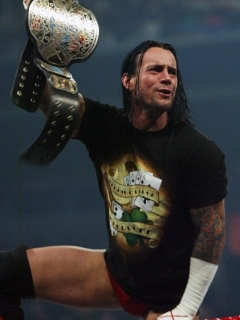 After that horrible feud with Mike Knox, Punk was still over, as evidenced by being the most popular guy at Survivor Series in 2006. Then came the horrible December to Dismember PPV (another article for another day), where Punk, a guy that everybody and their mother thought should have won, ended up being the first eliminated, which effectively killed the brand having another solo PPV. Fast forwarding through the New Breed and ECW Originals mess, we have Punk going to face [redacted], but instead entered this long feud with Johnny Nitro/John Morrison/Johnny Mundo. This was one of the few feuds in the early stages of the ECW reboot that showed why it was a success. Punk getting one more chance and actually winning (unlike Christian), ended up building to a great ending where the crowd was completely invested. Something like this wouldn’t be seen until Matt Hardy a few years later. This was the peak of Punk at ECW as he needed to move onto bigger and better things, which he did after he dropped the belt to Chavo Guerrero. Overall, while the results were a mixed bag during his time in ECW, he showed that he was able to become a crowd favorite and had a following. Punk moving on to Raw was one of the few reasons why the ECW reboot wasn’t a complete failure. Punk ended up winning MITB at WM24 and was drafted to Raw soon after. The work he had put in during his time in ECW had paid off as he eventually won the World Heavyweight Championship from Edge to a loud pop. 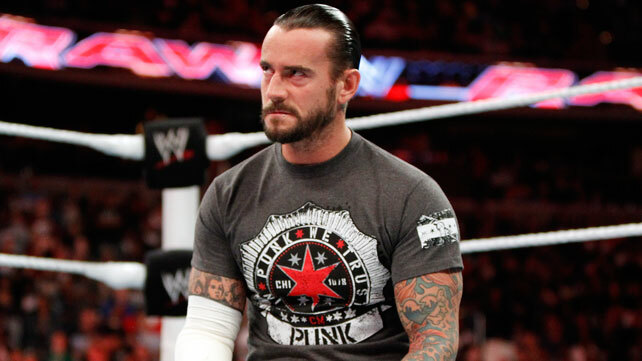 After this, a recurring theme popped up during Punk’s career. Punk had a lackluster feud with JBL and eventually lost the title without even defending it as Legacy knocked him out. Losing the title in that fashion wasn’t the best idea, although it did generate heat for Orton and Legacy. It would have made sense for Punk to feud with Orton for a while after this, right? Well, at least he got to feud with Legacy with Kofi as his partner. They won the titles, but they felt like an afterthought until they lost the titles to Miz and Morrison. Dropping the titles to them was the right choice since Punk was going after the Intercontinental Title and eventually won the belt from Regal in an excellent short feud and final match. Punk did lose the title to JBL soon after, but he did become a triple crown champion in under a year which is an impressive feat in itself, but everything during this time period felt rushed with him. They gave him all those accolades quickly, along with him being a finalist to the King of the Ring tournament in 2008, which in hindsight was a great idea to not give him that title, because it didn’t fit his character and would also feel like the company is force-feeding him towards the audience (cough, Roman Reigns, cough). Punk moved to SmackDown and won MITB again at WM25, but this time he actually had a direction after cashing in. 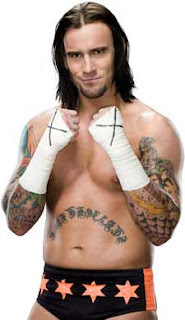 A heel turn by Punk in 2009 provided a white hot feud with Jeff Hardy. The more hardline straight edge gimmick worked perfectly with Jeff’s past with substance issues. The sense of realism in this feud created magic and for the first time in a long time, made Jeff Hardy interesting. As much as I wanted to hate Punk during this time period, he was so captivating and I didn’t disagree with the Straight Edge ideology or the extreme measures that Punk used to get his message across to the people. Between pointing out Hardy’s prescription issues and coming out as Hardy after Jeff left the company, that version of Punk was great. The Undertaker feud was very lackluster and was a quick way to get Punk away from the belt. Just when it felt that the wheels were coming off of Punk’s momentum, the Straight Edge Society was created and it was beautifully done. Using Gallows' history as Festus and to transition him into the stable was a great way to create continuity and show his true talent. The Rey Mysterio feud, while entertaining, felt like it would never end. Eventually the demise of Punk and the SES came at the expense of Big Show out of all people. Show beat them in a handicap match and a singles match, which killed their heat on purpose as Gallows and Serena were released. After the injury break, he became the new leader of Nexus, which was not effective as they were dead in the water since SummerSlam when Cena went Super Cena and destroyed them. Cena went Super Cena again and destroyed New Nexus at the Rumble and again, it led to nobody respecting them. While I do applaud the use of history in the Orton-Punk feud for Wrestlemania 27, it was too late by then. Orton ran through the stable and beat Punk in both PPV matches in the feud. After the Rey feud, it felt like Punk was treading water throughout 2010-2011. The talent was there with him, but it was not showing until that one night that blurred the lines of fact and fiction. June 27th 2011. Las Vegas, Nevada. The promo that changed the business. We all know about the promo that led to the best match in recent memory. All it took was a disgruntled worker that aired out his grievances and left these statements that were true. These same issues that he had pointed out back then are still present today, such as Vince being a millionaire that should be a billionaire or how fans still pour money into the company despite him leaving (I, for one, am guilty of this). The next few months, these scathing promos on the company, Vince, Cena, HHH and Nash helped the company realize what they should have been doing since 2009 during the Jeff Hardy feud. He was the best in the world at this time. The WWE Championship hot potato ended at Survivor Series, when he defeated Alberto Del Rio. It felt that at this moment, the Punk that I enjoyed was not the same guy that I grew up watching. He got almost what he wanted at this time. He got the long reign, he was a top star, it just felt like complacency set in. The Jericho feud during Wrestlemania season didn’t feel like it clicked as it should have. From here, he played fourth fiddle in the Daniel Bryan, Kane, and AJ storyline, which was more of a vehicle for Team Hell No than anything relating to Punk. The heel run of Punk from 2012 to 2013 felt weird. While the turn itself was well done by attacking The Rock, the best parts of the run was the promos between Punk and Vince or Punk and Foley. Punk-Cena was done to death by then, Punk-Ryback stunk and so did Punk-Rock. He didn’t seem engaged again until the feud with Undertaker, which stole the show from a horrible Wrestlemania 29. After WrestleMania 29, Punk was a man that didn’t want to be there. It seemed as if he was going through the motions from the classic Lesnar/Punk match at SummerSlam to the day he left. The prolonged Heyman feud during the summer was a waste for not only him, but everyone in that angle who did not benefit from it. Towards the end, The Shield feud was better than expected, but it was too late. 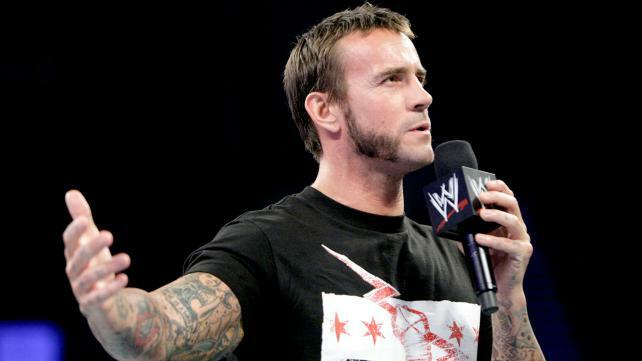 Punk was gone the day after the Royal Rumble due to a myriad of issues that have stemmed almost a half a decade. So the CM Punk era from the WWE has come and gone, and while he left us with some iconic and entertaining moments in the company, I felt that the WWE and Phil could have done more with the character. This could be said with almost any character in the company, hence the always relevant "the millionaire that should be a billionaire" line. Although, if the WWE used logic sometimes, the big MITB angle probably would have not happened as some of the grievances aired would not be present anymore. While I do agree with him regarding certain areas of his complaints during the podcast such as Rock/Cena II, Orton/Batista, HHH not putting him over in 2011 and the whole Ryback saga, some of it felt like whining. Whether you’re not a fan of him walking out and going to UFC or whether you’re a fan of him throughout the duration of his time in the company, one thing is for certain. He was an underutilized talent for a long time and was able to overcome bad booking to become one of the best superstars in wrestling history, and for that, I thank him. I thank him for everything he did, the good and bad, thank him for becoming my favorite superstar and providing entertainment for all of these years. Is The WWE Dropping The Ball On Sasha Banks?